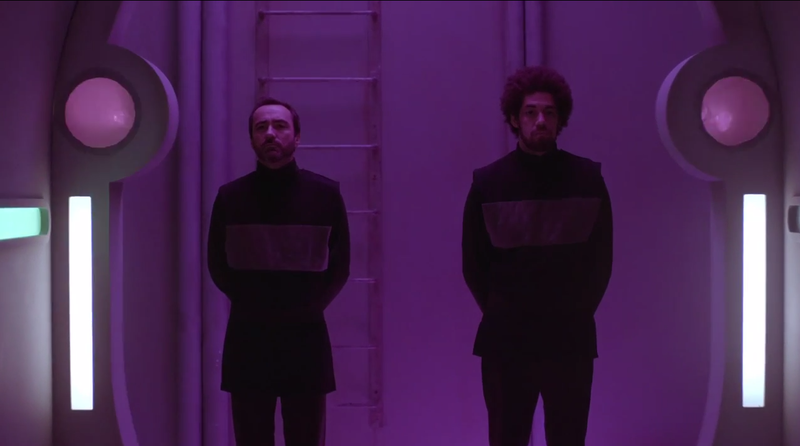 Broken Bells, the dynamic duo of The Shins’ main man James Mercer and hip mega-producer Danger Mouse/cool guy Brian Burton, has released a seven minute preview for their upcoming short film After the Disco, which will accompany their upcoming album of the same name. The film is directed by Jacob Gentry, director of horror favorite The Signal, with the story conceived by Burton himself, who apparently isn’t doing enough things already. Anton Yelchin and Kate Mara star, with Yelchin’s face sporting its best impression of Orlando Bloom’s facial hair and Kate Mara making both better romantic choices and fabulous fashion choices. The preview, which is dubbed “Part One: Angel and the Fool,” quickly gets planetary. This is only right and proper, as they make pretty space sounds and had an interactive video that traversed the cosmos. Planets appear, we stumble upon stylish, pink-suited cosmonaut Kate Mara (am I the only one getting Sandra Bullock vibes? 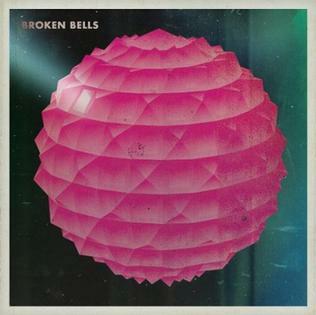 ), and – good god, is that the thing from the self-titled’s album art? Quick flashes on the end – “Next time on After Disco,” basically – promise a space rave, a space tunnel, more of the pretty pink space ball, and appearances from Mercer and Burton themselves, probably in space. Burton’s bigger concept projects aren’t always home runs – though Dark Night of the Soul was sublime and heart-rending, Rome felt more like a fun little experiment – this looks to be right up his alley. The pedigree is certainly present at every creative position. We’ll find out in 2014, when the album is slated for release. In the meantime, catch up on the reality bending, the young, intergalactic love, and the space peril below.